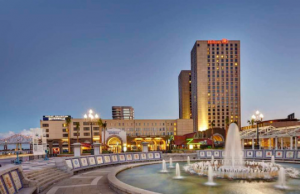 Complementary shuttles will be provided for Hemp Industry Daily attendees, looping from the Hilton Riverside Hotel to the Ernest N. Morial Convention Center. Shuttles will run every 15 mins Tuesday-Friday. Ample parking is available at the Convention Center for a daily fee. Overnight parking is prohibited. Click here for more information on parking and directions. June 12 8:00 am – 7:00 pm 5:00 p.m. – 7:00 p.m. 9:00 a.m.* – 5:00 p.m.
June 13 8:00 am – 6:00 pm 11:00 a.m. – 6:00 p.m. 9:00 a.m. – 4:50 p.m.
June 14 8:00 am – 3:00 pm 11:00 a.m. – 3:00 p.m. 9:00 a.m. – 11:50 a.m.
Attendees with tickets may register and pick up their badges on the first floor in Hall J. To ensure a great experience throughout The Hemp Industry Daily Conference, please take note of the show policies/rules/regulations found here. 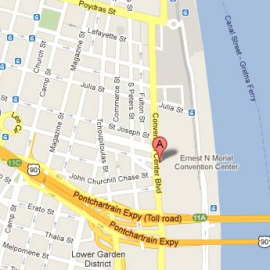 In partnership with onPeak, we’ve secured discounted rates at a selection of New Orleans hotels. Through onPeak we’re able to offer you convenient and affordable options for your trip to The Hemp Industry Daily Conference Spring 2019. onPeak is the only hotel provider endorsed by The Hemp Industry Daily Conference Spring 2019.